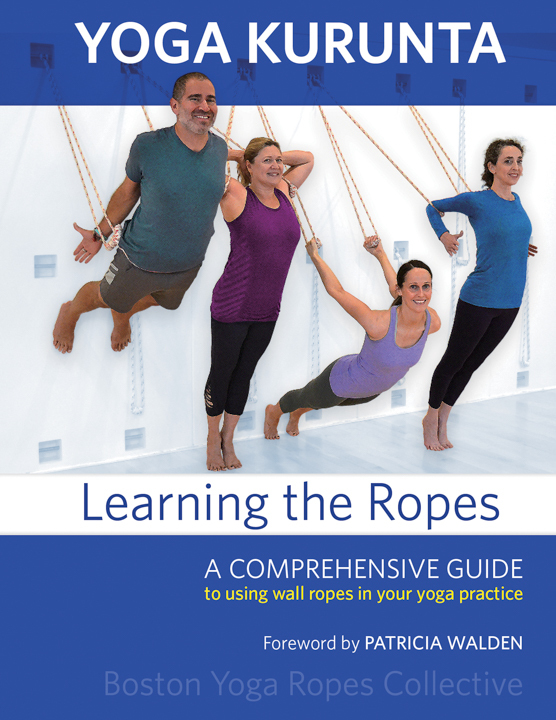 Learn how to perform asanas using the wall ropes. 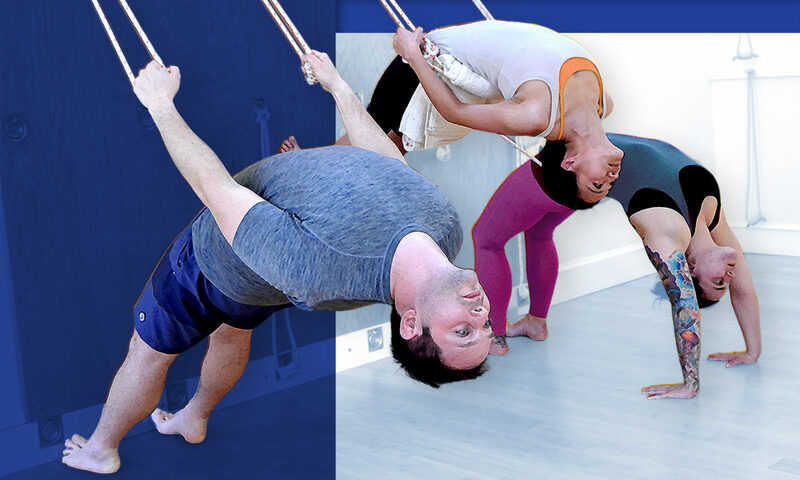 Each pose is presented broken down into easily-understood steps, with clear written instructions and full-color photographs illustrating each step, and many show a number of variations to the basic pose as well. 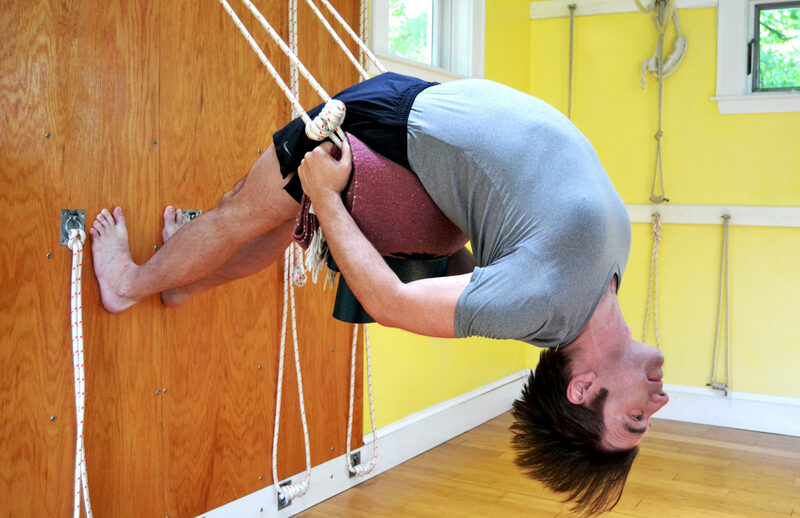 Each pose includes Method, Contraindications, Benefits, Common Difficulties, and Where to Go from Here. 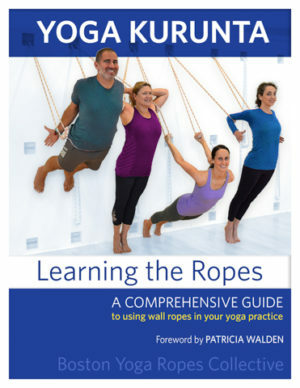 Contents include: Table of Contents, Foreword by Patricia Walden, Introduction, History of Yoga with Ropes, Tying the Ropes, five sections of Asanas with detailed Contents, Cycles putting Asanas together, Further Resources, Appendices, and Index. scope – hundreds of photographs, plus written descriptions. Yoga Kurunta is available as a sturdily wire-bound book (so the book lies flat and stays open) of 244 pages, and as a downloadable PDF for those who prefer a digital version. In the future we will add a series of video and PDF sequences available through the website. Please seek the guidance of an experienced teacher. 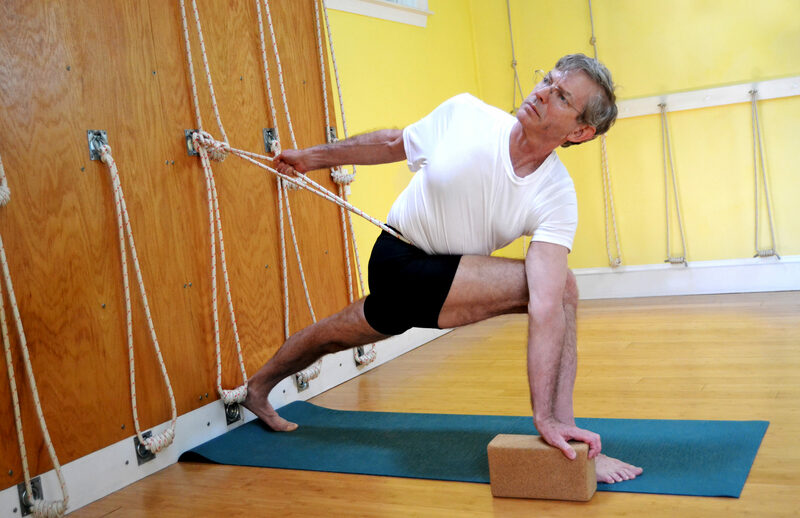 Read all instructions, contraindications, cautions, and common difficulties first before trying the pose, and follow the instructions carefully. If you have any medical conditions, please seek the advice of your health care provider to ensure that this practice is safe for your body.